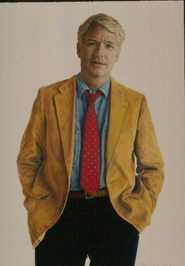 Nevada author John Polish earned his B.S. in Business Administration from Youngstown State University, moved to Las Vegas, Nevada, and in 1997 earned his master’s degree in education from the University of Nevada Las Vegas. John spent 17 years as a teacher and a football coach before becoming a full-time professional speaker, turning pain into positive. John founded the Unstuck Foundation, which is a non-profit organization to help people overcome tragedies and to teach people how to start sharing their stories to help others.